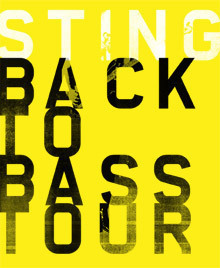 Sting.com > News > Sting: Back To Bass Tour - Additional Concert Confirmed in Los Angeles! 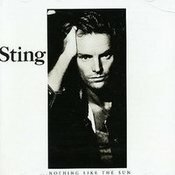 Due to overwhelming demand, a second concert has just been added at The Wiltern in Los Angeles on November 29 on Sting's Back to Bass Tour. Tickets for the previously announced performance on November 28th and for the newly confirmed concert on the 29th will go on sale Monday, Sept. 19th at 10AM (local time) at Ticketmaster.com and livenation.com. 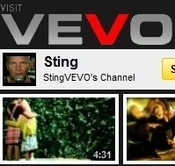 In support of his forthcoming box set collection Sting: 25 Years, slated for release September 27, Sting will embark on the Back to Bass Tour this fall to celebrate the 25th anniversary of his solo career…performing all the hits, stripped down, as they haven't been played in years, backed by a 5-piece band in an intimate theatre setting. Beginning in Boston on October 21 at The Wang Theatre at the Citi Performing Arts Center, the tour will extend across the US and Canada. Cities recently announced include Philadelphia, Washington DC, Toronto, Chicago, Detroit, Miami, Dallas, Houston, Denver, Phoenix, Los Angeles, San Francisco, Seattle, and Vancouver. Additional dates will be announced in the coming weeks. The fan club presale will begin at 10AM (local time) tomorrow, Friday, September 15. Legacy Fan Club members will be given a one hour advance window at the start of the presale, followed by a presale to all members beginning at 11AM (local time). Tickets will go on sale to the public on Monday, September 19 at 10AM (local time). When will I get my personal presale access code for the ticket sale for 9-20-2011 for the Verizon Houston texas show?